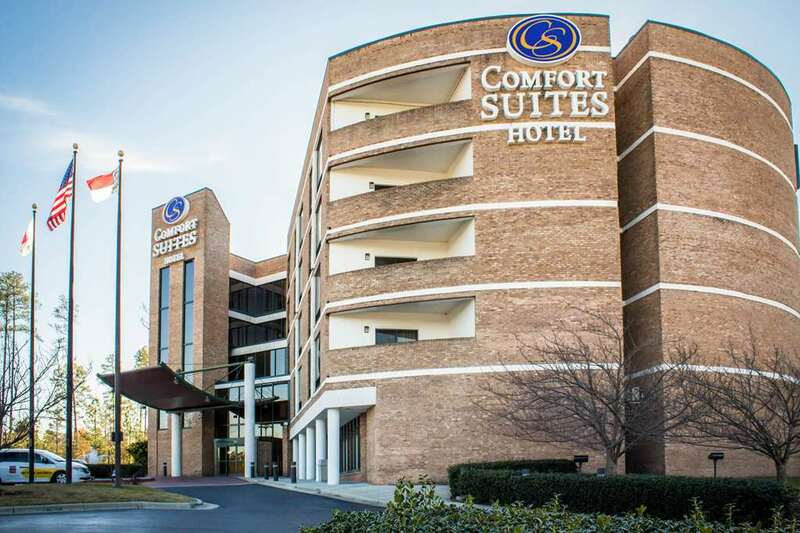 Get more of the space you need to spread out, relax or work at the smoke-free Comfort Suites Raleigh Durham Airport/RTP hotel in Durham, NC, located minutes from Duke University. Nearby attractions include Research Triangle Park, Crabtree Valley Mall, PNC Arena and Duke Medical Center. Raleigh-Durham International Airport and the Center for Performing Arts are also close. Enjoy free hot breakfast, free WiFi, free airport transportation and guest laundry facilities. Your spacious suite includes a flat-screen TV, coffee maker, hair dryer, refrigerator, microwave and recharge device. Also, earn rewards including free nights and gift cards with our Choice Privileges Rewards program. Free parking for length of stay only. Park and Fly rates available.